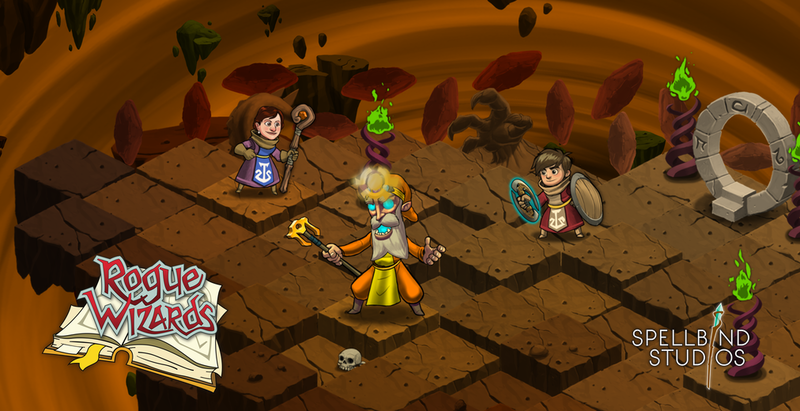 At the beginning of December we started the Rogue Wizards closed alpha program and received a ton of great feedback from everybody. Your feedback for what to improve next in the game is invaluable to us, thank you for all the countless hours of exploration, loot hunting, and monster slaying. 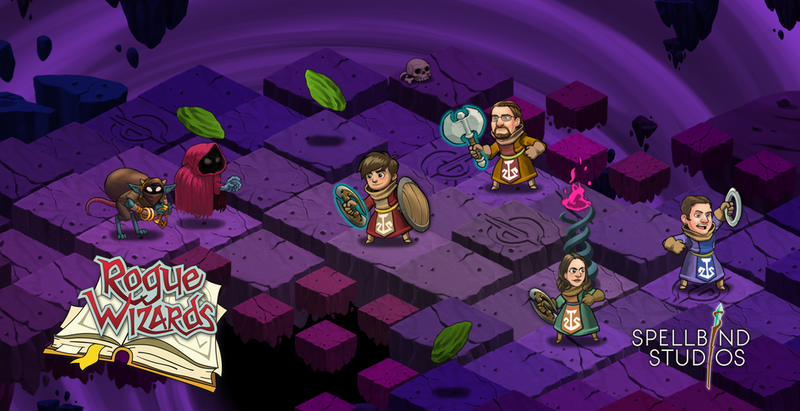 Through December we’ve continued to press forward and got all the engine NPC coloring working. Now when you find companions they’ll have some variation in their visual look. 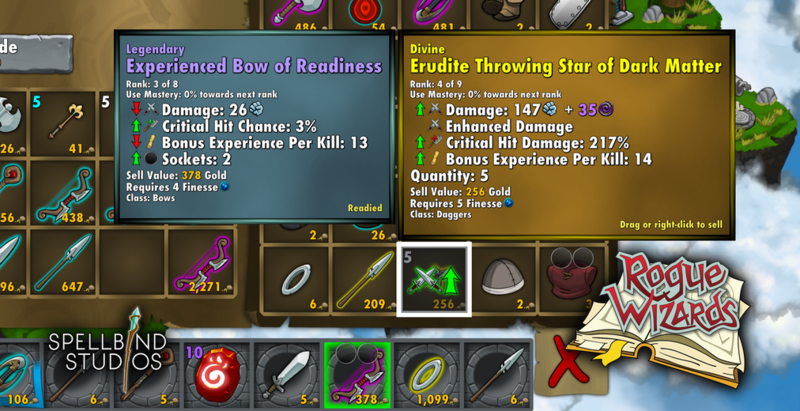 One thing we got a lot of feedback in the alpha was to improve the item tooltips and make it easier to compare new loot with existing gear, so now every property has a comparison up/down arrow as well as an overall better or worse attack/defense arrow. Also, because many weapons can be readied at the same time a lot of thought has gone into deciding which single weapon to compare. Finally, during the alpha we managed to get the entire main quest storyline in the game in rudimentary form including all 6 elemental rifts and placeholder Guild Wizard bosses. We’ll be improving all these areas and adding unique AI and powers to each boss over the next few months. Here’s the development highlights and details from the past month or talk about the changes in our Online Forums. Replicated blobs no longer replicate champion qualities to their offspring, that was brutal! Removed follower quips when you take loot because it’s making people thing you can share with the followers or do more complicated stuff with them. GameLogicManager now has field for game mode logic, the GameModeManager, which is either the DungeonManager, TowerManager, or TownMananger objects which are placed in their respecitve scenes and acquired by the single tag “Game Mode Manager” which is assigned to all three. which could cuase you to trigger to wait for inputs in a row when you really didnt’ mean to when skipping through lines of dialog or whatever. was run twice … once on start and once when the dialog was completely seen. will be regenerated again in town. Massaged the dialog tags for the ice quest for npc find, boss dead, etc ..
January 4, 2016 in Rogue Wizards.